Got Tomatoes? Make Tomato Sauce, of course! I've wanted to make my own tomato sauce for a minute now. Now that I have made my very first test batch, I can be sure to replicate this recipe (doubling, tripling, etc) for the next time I get an abundance of tomatoes. Though the flavor profile was spot on, it was a bit loose and I know it's because of the lack of tomatoes I had on hand. I've seen similar recipes online that used canned tomatoes. You can do this in a pinch but I recommend fresh (and organic) whenever possible. This recipe yields about 14 oz of tomato sauce. 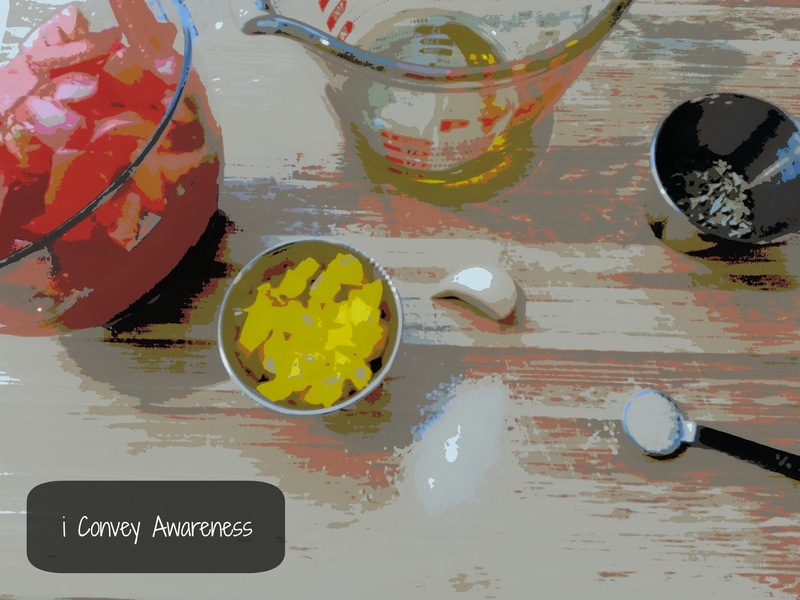 You'll need a scale to weigh your diced tomatoes. You can gently boil the tomatoes so the skins can be removed. * You'll need up to 1/4 cup of water since you're not using canned tomatoes. 1. Dice 4 large tomatoes preserving as much of their juices as possible. 2. Dice bell pepper and garlic. 3. In a pot, heat EVOO on medium and add garlic, oregano, and basil. Cook until aromatic or about 3 minutes. 4. Add bell pepper and cook for another 3 minutes. 5. Add tomatoes with the reserved juices and stir to incorporate the flavors of the ingredients and cook on low heat for 30 minutes, stirring occasionally. 6. When sauce is nearly done, add the sugar and salt. Stir. 7. 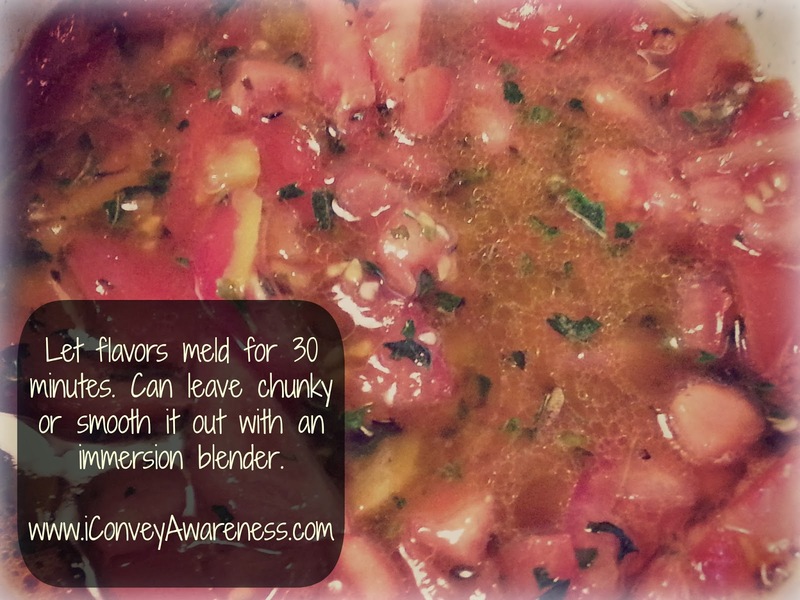 If you find that your sauce is too chunky, you can add in up to 1/4 cup of water. 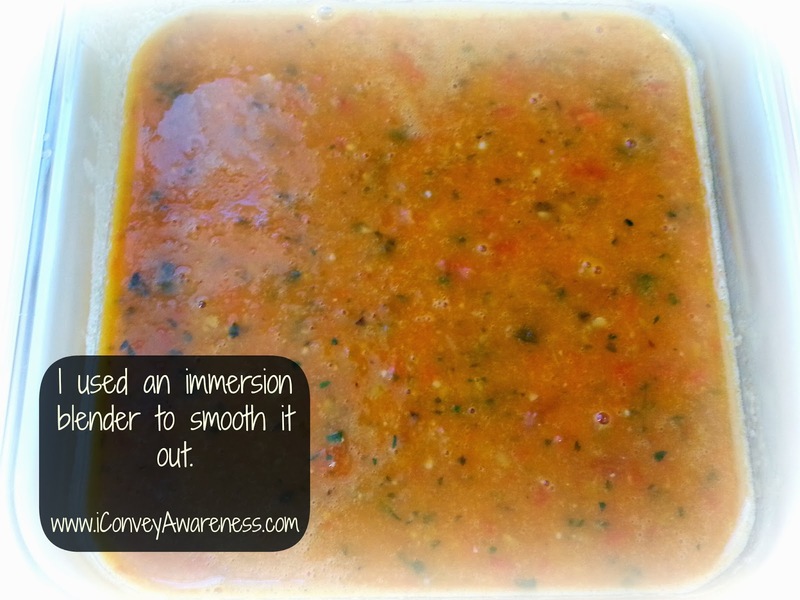 2) smooth (using an immersion blender which I did for this recipe).